Ahhhh Tallinn, We meet once again! After visiting the city over 10 times and having lived here twice in the past, I really never get tired of Tallinn. The best way I can explain how it feels to walk around in the old town is to imagine shrinking yourself and walk into a gingerbread city. The feeling is a mix of a fairy tale and being transported in a time machine back in medieval times. 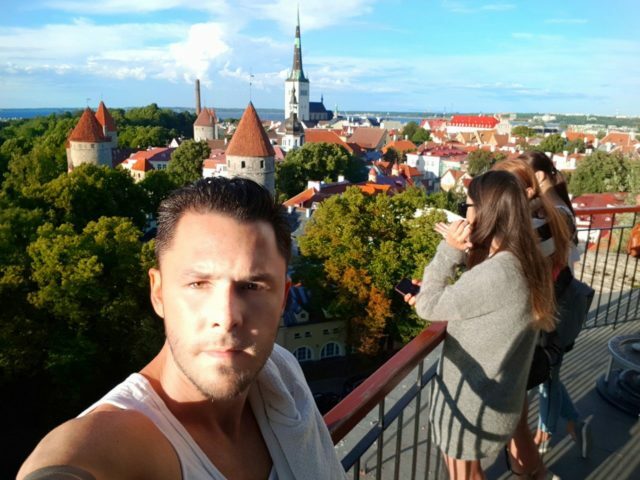 This is why I rank Tallin as my favorite city in Europe! 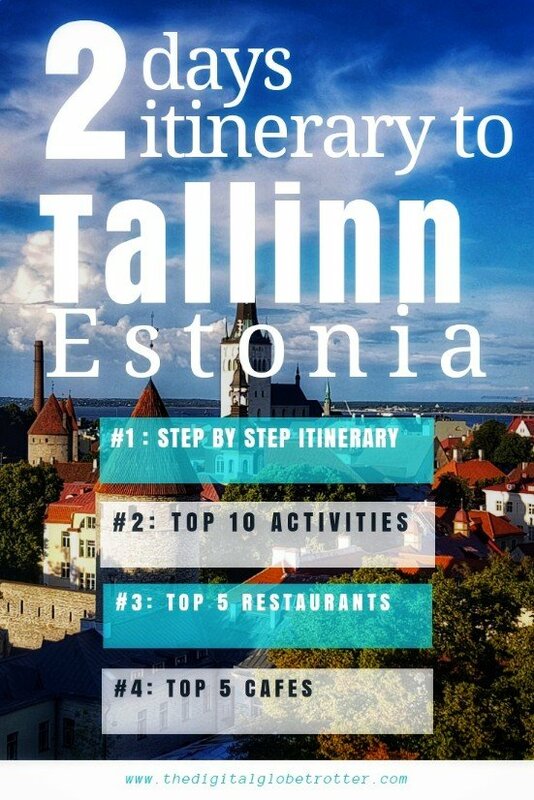 I first came to Tallinn 12 years ago, when it was still considered by many to be a no-go area! It had the reputation of a gray Soviet city and people called it dangerous and out of bounds. Still, I came and was enchanted by it, being one of the few tourists to take part. People were surprised at the time of my adventurous adventures to Eastern Europe. 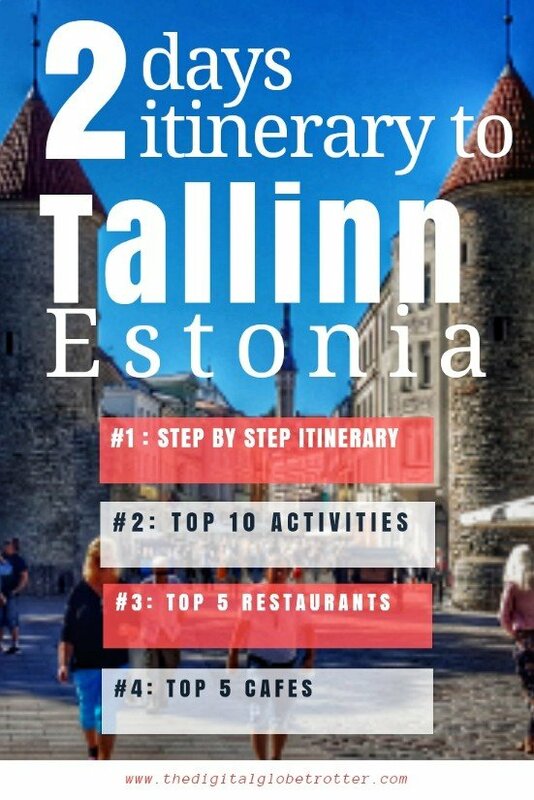 Nowadays, it is as normal to visit Tallinn as any European city, with 2 to 3 cruise ships dropping thousands of tourists daily, hungry to sample its beauty. 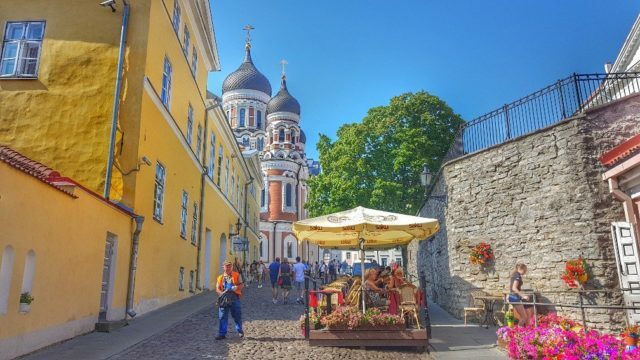 The other part of Tallinn that is becoming more and more popular with locals and expats (not tourists yet) is the area just north of the old town called Telliskivi. It used to be an industrialised area but has been taken over by the artistic community and hipsters alike, which have opened so very interesting and eclectic bars, cafes and restaurants. This is my new favorite place to live when in Tallinn, much more affordable and walkable than the old town with a modern vibe, yet very close to the action of the old town. 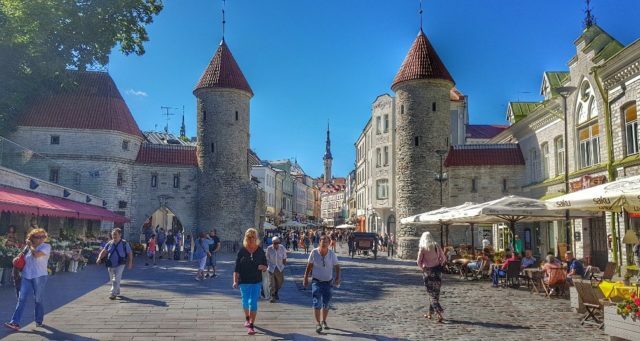 Start the day where everything happens in Tallinn, in the Old Town by passing through the Viru Gates. Grab some coffee in one of the centers eclectic cafes, a good choice is Chocolaterie de Pierre with its beautiful and cozy interior. Have a glimpse of Raekoja Plats, where you will probably end up coming over and over again on your stay in Tallinn as all roads lead to it. Start climbing the Pikk Jalg street which will lead you to the upper town to the Alexander Nevski Cathedral. Continue to the other highlight of the upper town, the St-Mary Church. On the west side, make it to the 2 best viewing points of the area, at the Patkuli Viewing Platform and the Kohtuotsa viewing platform with their stunning views of the old town. Going down through the Patkuli Stairs this time, go back to Raekoja Plats and go to the must-visit ILL DRAAKON, a Medieval Tavern that serves fresh Elk Soup and Pies; a truly medieval experience. 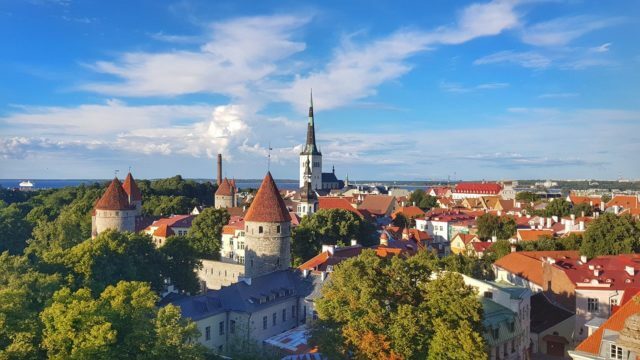 In the afternoon, you can climb the tower of the Town Hall for nice views, before heading to the Tallinn City Museum for a bit of history of the past 700 years. In the evening, have dinner in one of the excellent restaurants in the old town (see recommendations below) and to finish the night away, pay a visit to the Hipster Neighborhood of Telliskivi with its refurbished industrial area now hosting tons of new cafes, bars, and restaurants. Try F-Hoone and the area around Telliskivi Valjak. The Next day, You can start by doing some shopping around the old town and the head to the Kadriong Park to see the Palace of Peter the Great. The area has also some interesting architecture. If you are into views and highths, try going to Tallinn TV Tower where you can climb all the way up for great views of the Estonian forest surrounding it. At night, if you are lucky, catch a show at the Estonian National Opera. Tagged budgettraveller, digitallifestyle, digitalnomad, Estonia, europe, tallinn, Travelblog, worldphotography.